Learn to access spiritual wisdom, power and healing -- directly from your own personal spirit allies. Equipped with the regular practice of shamanic journeying, you can feel connected, energized, supported and empowered to live the life you want. You can make the choices that are right for you, and right for our world. All sessions are recorded for your review -- if you miss the first session or two, you can make up what you missed with the recordings provided! Join us from the comfort of your own home -- or from wherever you are! We'll meet 6-8pm Pacific Time / 9-11pm Eastern Time. Participate via internet or any telephone -- your choice. You will receive details via email about how to tune in to class meetings. Recordings of sessions will be available for your personal review. Cancellation policy: If you cancel 10 or more days prior to the first day of your course, you will receive a refund of any funds paid minus your $150 nonrefundable deposit. No refunds will be made for cancellations made fewer than 10 days prior to the first day of your course. We'll meet in a lovely space near the Ashby BART station, 7-9 each Tuesday, except October 21. You will receive details of address and what to bring to the first session via email. Accessibility: Please inquire if you are in a wheelchair or have other special accessibility needs. 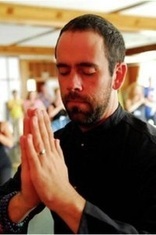 Portland, OR: Weekend Intensive on Saturday & Sunday, October 25-26 We'll gather from 10am to 5:30pm both days in a lovely home in the Irvington neighborhood of inner NE Portland, with a break for lunch. You will receive details of address and what to bring via email. Do you long for a personal source of spiritual connection, support and power to sustain you in the face of life's challenges? Do you have crucial questions about how to approach or heal yourself, a loved one, your community, or the Earth? Do you find that you get lost in the details, discouragements and distractions of daily life? Do you suffer paralysis by analysis - always trying to figure things out, unable to take action? You are not alone. Many people are struggling with these challenges. This class is a chance to try something different, and shift your orientation to life! Below are results that others have gained from a regular practice of shamanic journeying. While this is a beginning course, a review of the basics can enhance anyone's practice. Lenore's classes have altered my way of being in the world, and opened me to energies and life forces I never knew I could directly contact. I overcame my waiting to spiritually connect, and with her guidance learned to request direct contact with other realms of existence for healing, guidance and knowledge. Lenore's classes have profoundly and powerfully altered my life. I recommend her classes to everyone. I recently took Lenore's 8-week Beginning Journeying distance class. It was a truly empowering experience for me. This was my first class in Shamanic Journeying, and I found Lenore to be a very calm, clear and focused teacher. Her easy-going manner allowed me to relax into the experience of connecting with spirit guides, and learning to trust the information that I was receiving. I wholeheartedly recommend this class for anyone who has a curiosity about this world and all its mysterious ways! I have known Lenore for years and I have deep respect for her work, her teachings, and for how many people she has touched. She is a brilliant teacher, grounded in full integrity, and shares from the depth of her creative nature. I have always felt very respected by Lenore and her teaching. I just walked into this completely new and strange experience and felt completely welcome and comfortable from the very first moment. I’d be hard pressed to say I’ve met a more generous, and ethical, and integrity-filled person. Lenore is an exceptional healer, guide, and teacher. She brings a remarkable groundedness, safety, and ego-less matter-of-factness to her work which reminds us that Shamanic practice is our birthright. 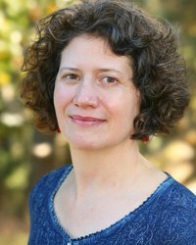 Lenore is an excellent teacher and facilitator, with a wealth of experience & wisdom to share. I recommend her highly to all seeking this form of knowledge. When I first considered studying with Lenore, I looked at her lifestyle, and the things she did in her work, and it was one that reflected contributing to the higher good. I could feel her warmth, and her discipline, and sense of humor. Lenore lives her craft, her commitment to caring for others and making positive changes in the world. As a result of her healing, I found a peace that had eluded me for decades. Her healing work allows the inner wisdom of our innate goodness to reveal itself, and that is a phenomenal gift. While this is a beginning course, a review of the basics can enhance anyone's ﻿practice﻿.